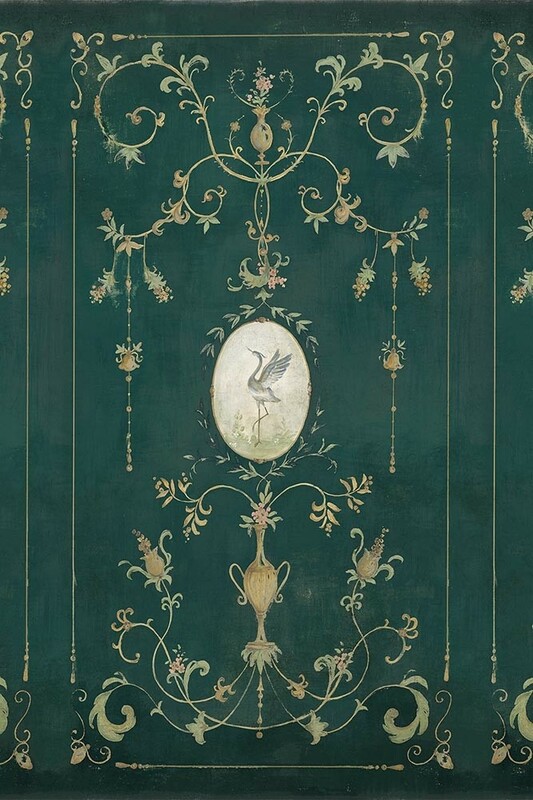 A gorgeous wall mural with vibrant and rich colours the Chinoiserie style wall mural features a rich emerald green backdrop with classically styled faux panelling and aged patina detailing. 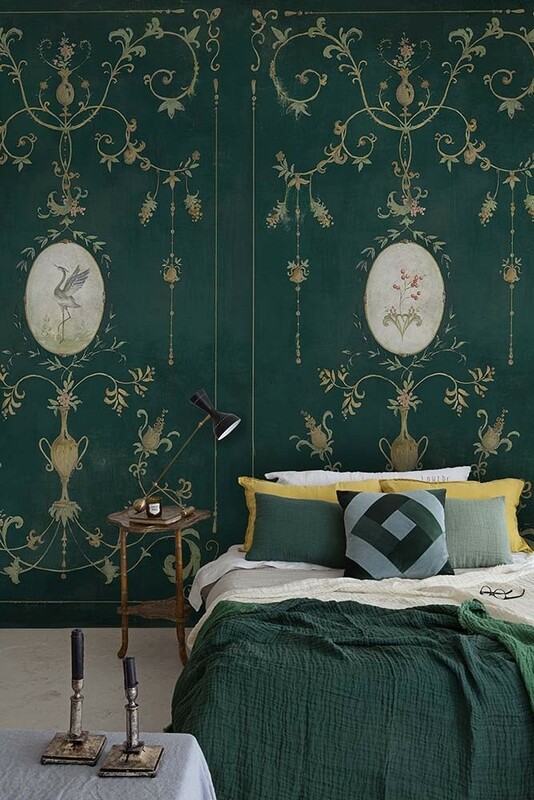 A stunning digital print wallpaper mural, the Aloe Green Chinoiserie style mural measures 2.8m in height x 4m in width and is printed onto non-woven back paper. Please note, this wall mural has a 2-3 week delivery time.